Runic Games shows its dedication by working through sickness and injury to deliver its next title. Gamers looking forward to the sequel of Runic Game's dungeon crawler Torchlight won't have to wait as long as they had previously thought. In a recent update to the game's FAQ, Runic stated that the game will be released sometime this winter unless something unfortunate happens and "someone on the team dies." Runic Games is famous for their dedication to their work and have gone above and beyond to help out their fans, so it's not really a small surprise they'd openly tempt fate to get Torchlight II out the door in a timely manner. However, given how small of a team they have and losing just one member to a nasty cold or a rabid wolverine attack can set back a project by weeks, it is a little odd they aren't accepting donations of multivitamins and cold medicine just in case someone on the development team gets the sniffles. 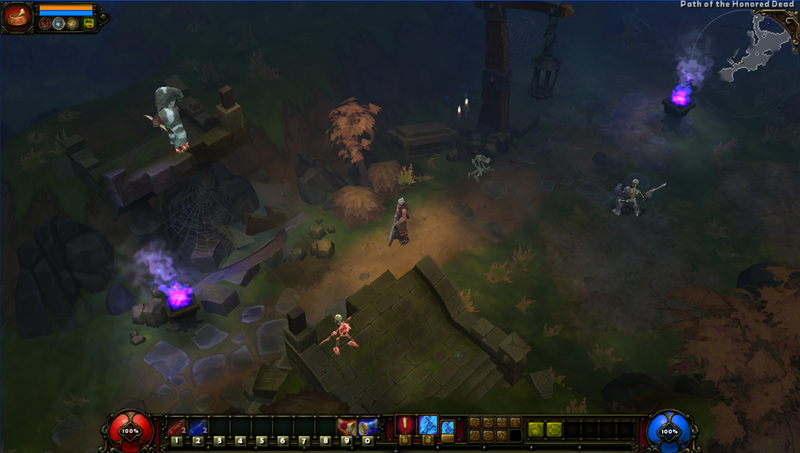 Currently Torchlight II is scheduled to release (unless of course, the unthinkable happens) either sometime in November or December, and will retail for $19.99.